Become a High-Performer with DevOps. High performers have multidisciplinary feature crews who pull from a common product-backlog, minimize work in process, and deliver work ready to deploy live at the end of each sprint. Take this short Microsoft DevOps self-assessment to get tailored recommendations on how to improve your organizations ability to develop and deliver value to customers, pivot when necessary and beat competitors to market. Use the results of your self-assessment to optimize your DevOps practices and tools. 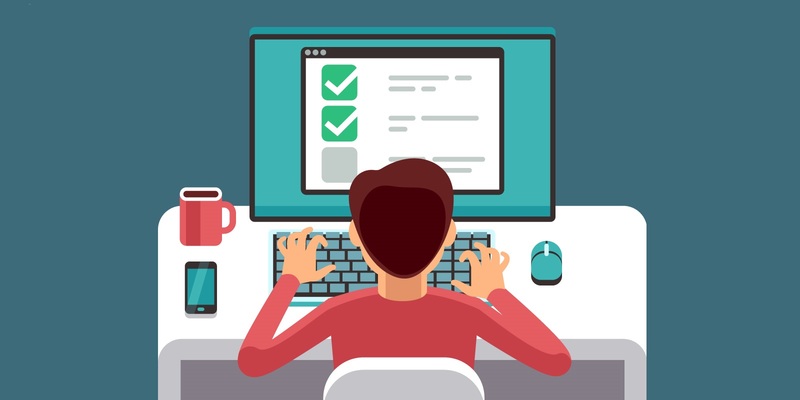 After you have completed your DevOps self-assessment, Imaginet can help you reflect on your DevOps self-assessment results and address any questions you may have. As a Microsoft Gold ALM & Azure Circle Partner, Imaginet is recognized by Microsoft as having the expertise you need to help your organization start reaping the benefits of DevOps today. Imaginet is your trusted technology partner who turns your business innovation ideas into reality. 20+ years | 1200+ satisfied customers | 2500+ successful engagements. Specialties include Web Application Development, Mobile App Development, SharePoint services, and more. Located in Dallas (Irving), Winnipeg, Phoenix, St. Louis, and Calgary with services offered worldwide. Contact us today at info@imaginet.com or 1-800-989-6022.